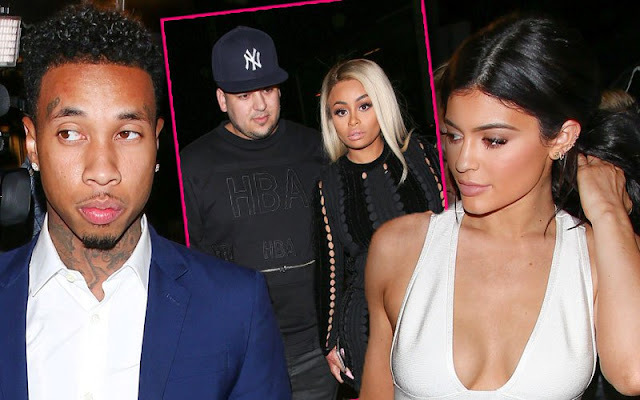 GossipWeLove | Pop Culture and Entertainment News Site: Rob & Blac Chyna Gets Into a Physical Fight... Kylie Jenner Moves Chyna's Son In! Rob & Blac Chyna Gets Into a Physical Fight... Kylie Jenner Moves Chyna's Son In! Although Blac Chyna has since forgiven her fiance, Rob Kardashian, for all his social media drama following their recent split, a new report have surfaced about the duo getting into a physical altercation prior to her moving out of his house. The on-again, off-again couple had a fight that turned physical prior to [Chyna moving out with her two kids]. Chyna allegedly punched Rob in "his back and arms and was in a drunken rage," a source tells the publication, adding that Corey Gamble -- Rob's mother Kris Jenner's longtime boyfriend -- then walked in on the altercation and "ripped Chyna off of Rob." As previously reported, the "Keeping Up With the Kardashians" reality star was allegedly caught texting other females on Instagram. Following Chyna's big move, Kardashian shared a video on IG saying he was "seeking help" so he can be a better father for his daughter, Dream. "This weekend I was in an emotional bad place and did some things that embarrassed myself and my family," the 29-year-old reality star wrote. "I apologize and I'm seeking help to deal with my flaws/issues. Please pray for me and I'm sorry @blacchyna. You are a great mother to our child and I love you." "I was doing swell before I got with him!" Chyna wrote. "Rob asked for all of this! Rob begged me to have Dream! He stressed me out my ENTIRE PREGNANCY!!! Accusing me of cheating, going crazy on me with massive text blast daily! Being an absolute lunatic and then cover it up with gifts! I was verbally abused every other day. I was still there with nothing but high hopes for us!" "I truly loved Angela," he responded. "I gave everything I owned for her. Didn't know I was just part of her plan. I really believed she was in love with me the way that I was with her and I am so hurt and never felt this before. ... Chyna knew exactly what she was doing to get me. I can't believe she did this to me." 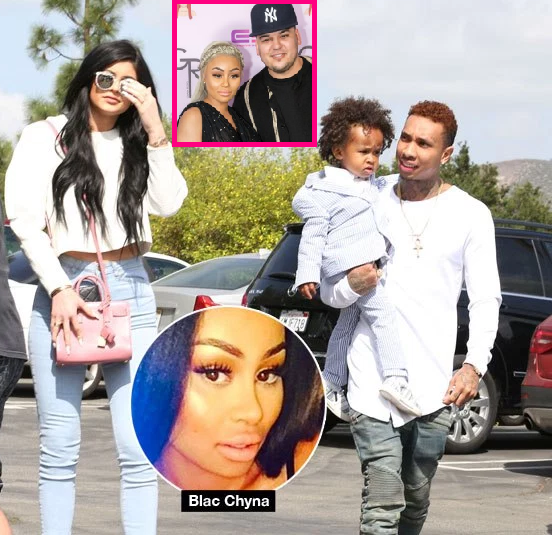 Though, friends and family of the couple told ET that "they're gonna be just fine," Rob's sister Kylie Jenner recently stepped up her step-mommy duties by moving in her boyfriend, Tyga's, son King Cairo into her home, a child he shares with Chyna. Sorta messy if you ask me.